Began with the husband and wife team of Dennis Warne and Jennie Jones. 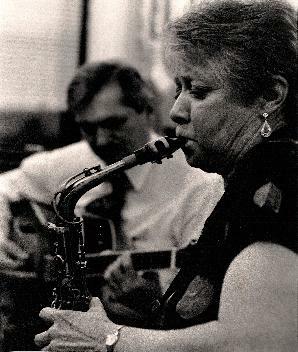 Jennie is Jazzline's featured vocalist, but can also be seen performing on flute, clarinet, alto, tenor and soprano saxophone. Jennie is also currently the music director for the Ladies First Jazz Big Band, an eighteen-piece all female jazz ensemble. Veteran guitarist Dennis Warne is also a talented and well-known jazz composer, writing arrangements for both Jazzline and Ladies First. To learn more about the other members of the group, click the "About Jazzline" tab on the left-side of the page!